PICTURES speak louder than words. This axiom makes the arguments between the pros and cons of the RH Bill heat up to the point of bigotry and nasty name calling (Pro-RH Bill – Satanic! 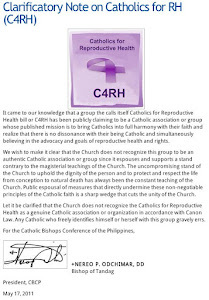 Anti-RH Bill – Damaso! ), the stuff of paparazzi media. The visual horrors behind the minds of protagonists are more intimidating than the logic of the case. For the pro-RH advocates, their scare tactics are horror driven: what about millions of squatters who can’t feed, clothe, and educate their children? What about dirty kids prowling the streets of Manila begging or snatching bags? Isn’t this immoral? And what about deaths due to abortions performed by Dr. Quacks? And what about young girls who get impregnated because of stupidity? Etc. etc. The anti-RH champions conjure vivid horror pictures too: Imagine! Millions of aborted fetuses, blood-clotted, and rotting, thrown in hospital and health clinic garbage disposals or flushed down the toilets of homes with teenage girls who fornicate freely and single girls who commit adultery freely. Imagine the thousands of gynecologists in government health clinics turned infanticide apprentices by lecturing on reproductive health one moment and in the next prescribing sterilization or mutilation of a woman’s healthy reproductive organ. Fornicators and adulterers go scot-free because guilt has been deadened by swallowing a pill. All the harrowing pictures generated by the RH Bill are either current realities or self-fulfilling prophecies. a) Constitutionality: Pro-RH lawmakers claim it’s their mandate to enact laws for the common good. Limiting population growth will redound to common good because the insufficient government budget will not be overburdened by being incompetent in its service delivery for the poor people. 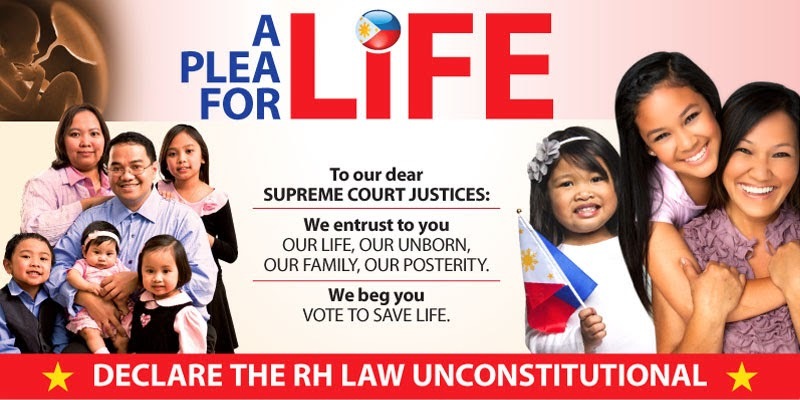 First, the anti-RH advocates invoke the constitutional supremacy of the right to life specifically of the unborn. Second, anti-RH adovcates also invoke the right and protection to practice their religious beliefs free from government control and censure. To anti-RH people, life is sacred, God-authored and only God decides when to end earthly life. b) Necessity: Pro-RH advocates claim existing government systems and competency are flawed in implementing reproductive health and education, and population management therefore the need to institutionalize by law for continuity and improve competency. For population control, the use of abortifacients, ligation mutilation, and sterilization are integral to population management. Anti-RH advocates reject the use of invasive and abortion inducing drugs as not only a violation of the right to life but also intrinsically evil. Anti-RH recommends natural family planning only and this is taught by Catholic parishes to couples before they contract a Catholic marriage. For Catholics, it’s self-control, not birth control. c) Paradigm shift: The big picture is whether the RH Bill will realize its goal of a meaningful and expansive delivery of education, health, housing, and jobs for the poverty sectors. Without target volumes, budget summary, and guarantee of corrupt-free implementation, RH Bill will be once more another big failed government project. For the anti-RH advocates, the big crisis is the bastardization of a strong and viable Filipino Christian culture that institutionalizes family values such as self-discipline, respect for women’s innate modesty, fidelity in marriage, obedience to parents, adherence to moral law, and fear of God. The fear is based on the licentiousness and individualism that the RH Bill’s built in amorality might foster on the Filipino people. My own personal lament is the low regard of RH lawmakers for the Filipino poor. And the lack of creativity in crafting a plan for people productivity that will unleash Filipino creativity. Big population is the big asset of progressive economies because it functions both as huge consumer base and motivated productivity sectors. Our poor are hungry for work and will eke out a living by pushing carts to collect soft-drink cans so they can feed their families. In farms, they work their butts off plowing fields and harvesting rice from dawn to dusk. They migrate by the millions to the international labor market to send their hard-earned money to the Philippines saving the Philippine economy from collapse. Mr. Congressman, the poor is (sic) willing to work hard. Don’t be literal, narrow-minded, and overly legalistic about the plight of the poor. Break conventions. Think out of the box. Be imaginative. Think Big. Paint big dreams by motivating them. 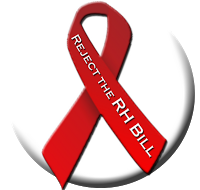 The RH Bill is degrading. It is isip lamok.